From avoiding overhanging objects, to sprinting across a flight of staircases. From knowing about the fast approaching car to avoiding the potholes on the ground the Walk is here to induce exceptional confidence in your day to day commutes. All backed by a 60Hr power backup that lasts for weeks. Along with all the ranging features the Walk PRO can also allow you to 'see' colors, know about the number of people around and even sense the presence of very hot objects. World’s smallest device for the visually impaired. A tectonic shift in the (Electronic travel aid) industry for the completely/legally blind individuals. Walk PRO is definitely the extinction of the well known White Cane. The good news you can still use your trusty guide dog with it! Representing Make in India pan globe, proud to have you as a 3 times national award winner and an Indian Science Congress awardee. The Walk PRO is the first ETA with full head level, front and ground scanning . The Walk PRO technically scans the ground in 12 zones to find irregularities, water bodies, staircases, and/or any obstruction and informs the user of the same 2 Meters in advance. The front level scanning goes up to 4.5 Meters to scan for and hindrance and/or fast moving object . The head level scanning scans for 8 zones within 2 Meters. The scanning is made possible with a patent pending highly sophisticated set of cameras and optics supported by real time information from the orientation sensor to provide accurate information regardless of the orientation of the hand. The Walk PRO uses dual haptic drive system with the industry leading actuators and drive chips updating the information from the sensors at 20 times a second. This translates into a jittery free haptic feedback experience. The amount of data that can be communicated via a dual haptic system that can reproduce 234 different types of signature combinations is massive and is clearly reflected into the user’s confidence while he learns the device more and more. The information might sound intimidating but that user can start walking by just understanding 12 of the 324 signatures. The remaining 312 are for the user to explore over days, months and eventually years making the experience more engaging with time of usage. The Walk PRO provides a 2 hour battery backup in constant use. post a walking session the user can simply put the ring into the exclusive wireless charging case which takes the battery backup of the package to a massive 120 hours that translates to 60 days*. The case inturn charges from 0% to 100% in 2 Hours via a USB-C type port. The Walk PRO not just takes ETAs to a new level but also generates new possibilities for what an ETA can do . Little but immense things like knowing the color of the object in the front, knowing the current time and even knowing whether there is a very hot/cold object near by, are now possible with the Walk with a single swipe/pinch over the ring side wall. Now be prepared to observe more dimensions of the world around you while being safely cradled to your destination. The fastest and the most accurate proprietary sensors now come coupled with the most intelligent, blazing fast processing algorithms made possible by cutting edge hardware. With all that processing power under the hood and sophisticated sensors and algorithms you can stay more focused on what’s important; your immediate environment and most importantly you yourself. The seamless feedback from the ranging and haptic engine is all enabled with cutting edge sensors and self learning algorithm that work behind the stage to make the Walk PRO’s experience a reality. For example the orientation sensor works seamlessly with a set of self learning algorithms to know whether you are walking, running or just still. The sensors track your hand movement along with you body movement to know your needs at that 50th part of a second, accordingly finding the right balance between sensing speed, sensing accuracy and power consumption. While sensing the ambient vibrations using the inbuilt accelero the Walk decides the intensity of the haptic feedback to ensure that it always feel precise while not being intimidating. The light sensors onboard sense the ambient light and according adjust the ranging and sensing system’s power to maximize efficiently while completely avoiding sensor failure and/or misbehavior. The Walk PRO is the first and only commercially available wearable that works on incredibly powerful and yet efficient Intel processor. Creating a benchmark in how much power can be packed in a 12 Gram ring. The incredibly high performance of the chip allows us to flash in complex self learning intelligence into the Walk which has been never possible for even Smart watches. It will be juiced up and pampered always. No matter where you are, in it’s own tailor made shell; isolated. As if it’s being cradled in it’s own world. To house the most capable ETA in the world we had to build the most capable yet extremely rugged case that can take care of your ‘Walk PRO’ while you’re not using it. With a hand stitched perforated leather interior the case ensures that your ring remains scratch free. The perforation absorbs the sweat and dirt ensuring that your high gloss ring remains the way it is every time you pop it out of the case and slide it on for the next adventure. The inner leather wrapped foam of the case is removable and washable to take care of extended use. The Walk PRO’s case comes equipped with an internal wireless charger and a Lithium battery that charges the Walk PRO every time you slot it back into the case. The case provides a staggering 60 Day battery backup to the ring, though we recommend charging the case via the power connector at the back weekly or at least monthly. Apart from being luxurious and pampering from the inside that outside of the case is equally rugged. It can happily take shocks from falls from up to 5 Meters while staying that way it was on the very first day, scratchless. All this is made possible by the rugged yet light weight aluminium housing, safeguarded by a hard anodized coating for the scratch resistance. Space age technology backed by life-time door step support. It’s like owning a super-car at the cost and convenience of a run of a mill automobile. We believe that apart from all the specs and intelligence the Walk PRO is more about an experience. It’s confidence, it’s freedom and it’s a whole bunch of abilities for the Visually Challenged user. We believe that with every mile you travel with the Walk PRO you have that feeling of confidence building in you as you learn to interpret more and more information passed onto you by the Walk PRO. As time passes the walk is not just a wearable ETA but a part of you that you’ve laboured to engage with. To do justice to your dedication and make that confidence of your in the Walk PRO eternal we ship this hand crafted beauty with a lifetime warranty that gets delivered at you very doorstep as standard. There are no conditions that apply. The Walk PRO might be the most intelligent thing that you could wear but yet not as intelligent as you. 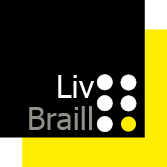 With the number of people adopting the Live Braille Mini (First generation product) rising at an exponential rate we’ve learnt that the technology does fail at times. The failure rate of a Live Braille powered ETA is one in 1000 products in 1 year. Unfortunately when in the year and which Walk PRO, we just can’t guess. Hence to keep you covered from those unexpected crashes, very similar to automobile insurance the Walk PRO also ships with a product liability insurance as standard. Good times or bad with the Walk PRO we’ve got them covered. To ensure that everything under that hood is working to your expectations, the Walk PRO ships with a 1 Year yearly maintenance complementary. This includes the shipping, maintenance and repairs of any worn out component. It’s been one year since the Live Braille technology has been in the market. In this one year we’ve garnered over 12,000 users from across 16 countries. Let’s see what they have to say. We are proud to say that the first generation product powered by the Live Braille technology - Live Braille Mini has been touching lives of 12,456 Visually challenged users across 16 countries. What’s more interesting and confidence inspiring is that out of the 12,456 customers we have 4 government of countries including India, Latin America, Malaysia and the UK. The Live Braille Mini has transformed different people in different ways. From allowing visually challenged kids to safely navigate to schools to allowing adults to get employed considering they can yet again navigate to and within their workplaces safely and confidently. The mini has allowed aged individuals suffering from age induced visual impairment to be more independant and lead a more stress free life. With large scale deployments in countries like India, our team has been working on a comprehensive DALY and QALY impact on the lives of a visually challenged and the results in our Embro Impact report are a must read. The report is available for government clients to know how can the new Walk PRO translate into a fruitful large scale deployment if you are planning one.